Dr Ivan Sikora, Senior Lecturer and Director of City’s MSc in Air Safety Management was a participant in the OECD’s International Transportation Forum in Paris. Senior Lecturer and Director of City’s MSc in Air Safety Management, Dr Ivan Sikora, participated in the Organisation for Economic Cooperation and Development’s (OECD) International Transportation Forum Roundtable on Safety Management Systems, which took place in Paris on 23rd and 24th March 2017. The International Transport Forum (ITF) is an inter-governmental organisation within the OECD. The ITF acts as a think tank for global transport policy issues and organises an annual summit of transport ministers. 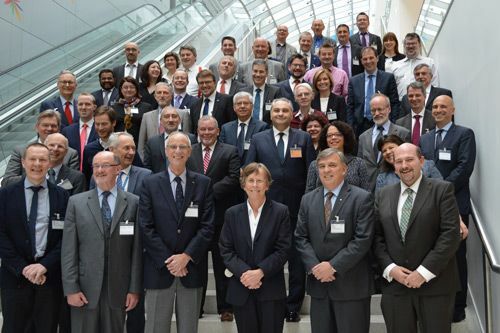 Chaired by Kathy Fox, Chair of Canada’s Transportation Safety Board, the Paris Roundtable brought together leading experts in the field of safety management systems (SMS) for discussion and debate on key developments and aspects of SMS. In his contribution to the Roundtable, Dr Sikora said he desired to see better documentation around training requirements for safety management systems by regulators, given the wide variation in these requirements. He said this was important given the movement of people across the regulatory and operational side of aviation safety management which sometimes helped and hindered their understanding of the issues involved.